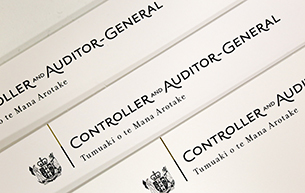 10 December 2018: We wrote to Kāpiti Coast District Council, setting out our expectations about due diligence and sound management, given the Council's intention to borrow money in order to set up investment funds. 6 December 2018: We have decided to publish our submission (provided in August) to the Independent Taskforce carrying out a review of Tomorrow's Schools. 29 November 2018: We are receiving enquiries about the Council's proposed Waimea dam. To help keep people informed, we have decided to publish copies of the letters we have sent to the Council on this topic. 26 October 2018: The Treasury has issued a consultation document seeking feedback on the proposed functions of an independent infrastructure body. This letter is our written submission. 25 September 2018: We have written to Greater Wellington Regional Council regarding public concerns about aspects of Wellington’s new bus network and services.